The EDM, mentioned in the last post, came to an end halfway through May due to this big commission. It took several weeks to complete, but it seems that the client was happy with the depiction of his shearing shed. 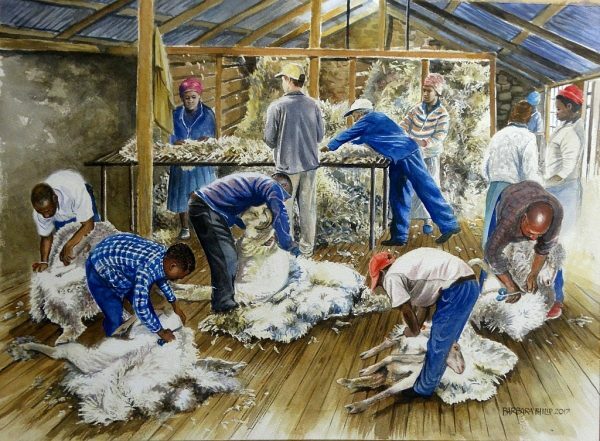 This entry was posted in Blog, Rural Life & Karoo Landscape and tagged Sheep, Watercolour. Bookmark the permalink. Post a comment or leave a trackback: Trackback URL. « Every Day in May challenge, 2017.